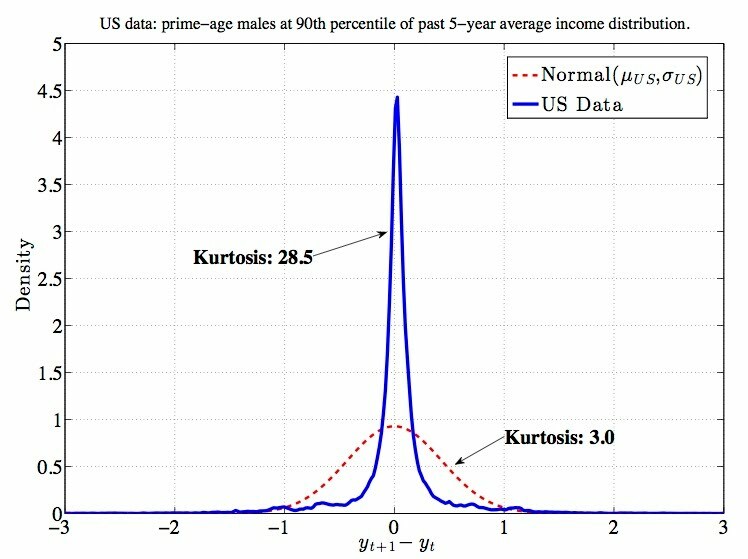 Revised (Feb 2019): What Do Data on Millions of U.S. Workers Reveal About Life-Cycle Earnings Dynamics? 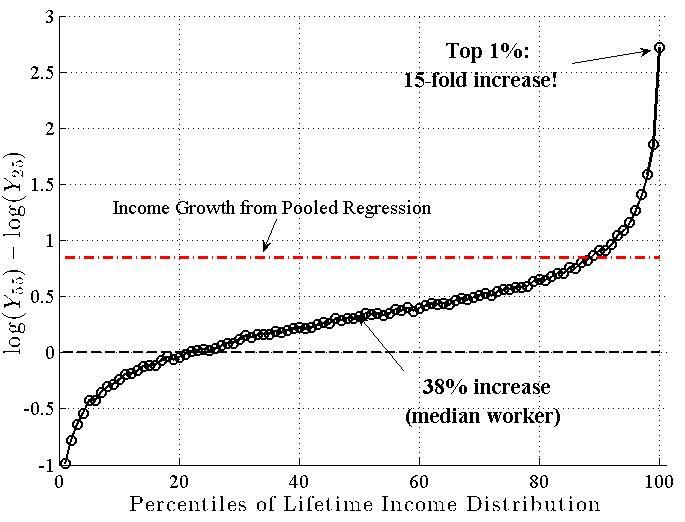 The Disappearing Large-Firm Wage Premium, AEA P&P 2018. Offshore Profit Shifting and Domestic Productivity Measurement (April 8, 2018). Updated Slides: Income Inequality and Income Risk: Old Myths vs. New Facts, WAMS Keynote Lecture, August 2016. The lifetime income of median male worker has declined by 10-19% from the cohort that entered the workforce in 1968 to the one who entered in 1983. More recent data indicates no turnaround for men in more recent cohorts. During this time, the lifetime income of median female worker rose by 20-30%, but starting from a much lower level. (Source: Guvenen-Kaplan-Song-Weinder-2017, NBER WP 23371). Labor productivity has been diverging between R&D-intensive firms and R&D-nonintensive firms in the US since mid-1980s. Former group accounts for only 6% of employment. So winner takes most during this period. (Source: Guvenen-Mataloni-Rassier-Ruhl 2017, NBER WP 23324).